Trader Sam's - Enchanted Tiki Bar at Disneyland Resort in California has introduced two souvenir glass to celebrate their one year anniversary. Trader Sam's two-for-one special won't be going on to commemorate this special occasion. Which is good since the deal is two of his, for one of yours! Starting tomorrow you'll be able to pick up one of these fun and unique pieces of drinkware (while supplies last). 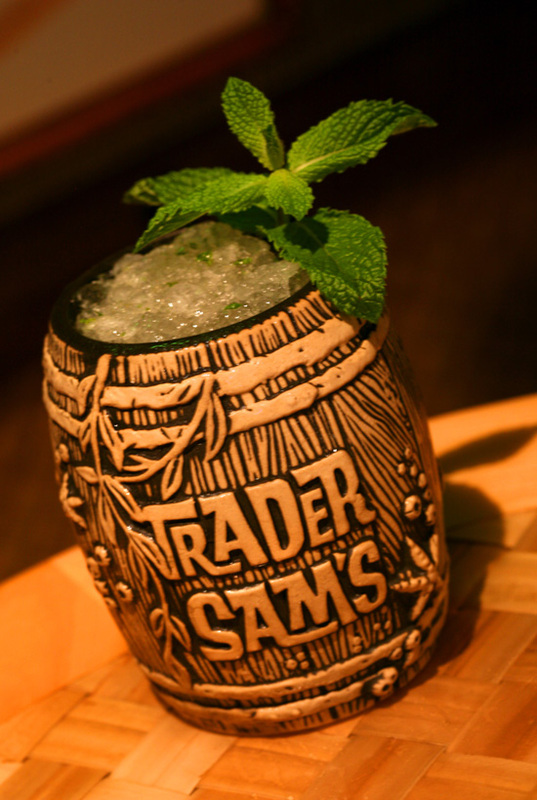 The Trader Sam's Barrel Mug comes with Shipwreck on the Rocks; bourbon, freshly muddled lemon and mint with organic agave nectar. 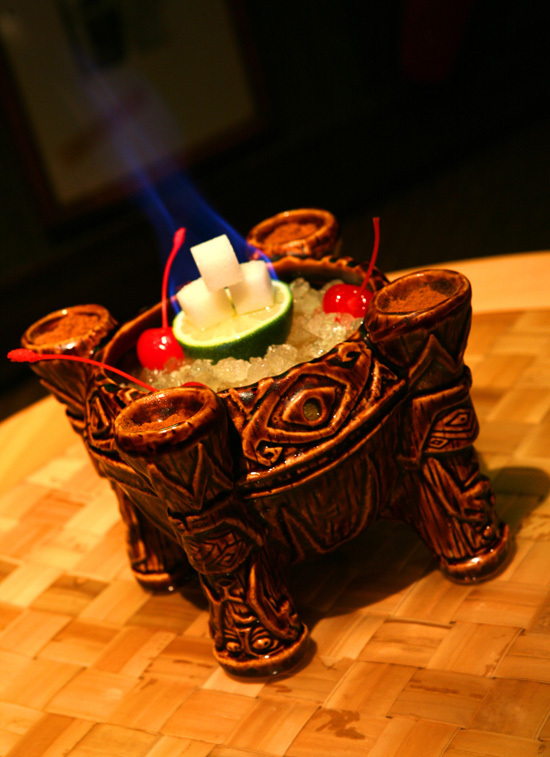 The Trader Sam's bowl will come with Uh Oa! ; light and dark rums, orange, passion fruit, guava and grapefruit juices, falernum, cinnamon and freshly squeezed lime juice. For those not familiar with falenum, it's a sweet syrup made with flavors of almond, ginger, clove, lime and vanilla.